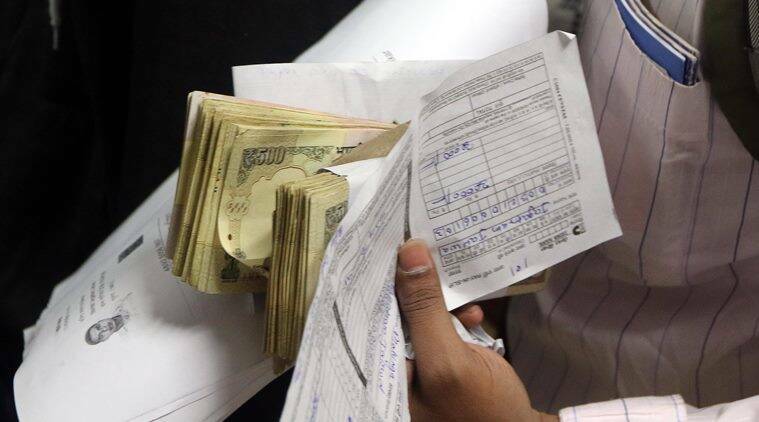 Moving quickly to plug loopholes, the Income Tax Department has asked banks to report all cash deposits exceeding Rs 2.5 lakh during the 50-day window provided to tender the now-defunct 500 and 1000 rupee notes. Previously, banks were required to report to the I-T Department only when cash deposits in an account exceeded Rs 10 lakh in one full year. But in view of apprehensions that large number of illegal or black money may sought to be converted into white during the window provided till December 30, the Revenue Department has issued fresh set of instructions, a top official said. currency savings in their bank accounts and get new ones,” he said. But the window provided to them will also be not allowed to be misused, he said, adding that the Income Tax Department is keeping a close eye on all high-value deposits. Those depositing large amounts of unaccounted money will have to face the consequences under tax laws, which provide for a 30 per cent tax, 12 per cent interest and a 200 per cent penalty. Earlier in the day, the Finance Ministry came out with newspaper advertisements assuring people that their hard earned money is safe and that depositing junked Rs 500/1,000 notes of up to Rs 2.50 lakh in bank accounts will not be reported to the tax department. cheats, thugs and rumour mongers. Besides, the ministry said, farm income continues to remain tax free and can be easily deposited in bank. Small businessmen, housewives, artisans, workers can also deposit cash in their accounts without any apprehensions, it added. investigation. All honest citizen need not worry. Farmers’ income is tax free and can be easily deposited in bank,” the ministry said in newspaper ads. In its biggest crackdown ever on black money, the government on Tuesday night announced demonetisation of Rs 500 and Rs 1,000 notes and asked people holding such notes to deposit them in their bank accounts.